Her calm demeanor--as she was pressed to endlessly repeat the graphic descriptions of sexual harassment she endured while working for Thomas--struck a chord with the public and began a conversation about sexual harassment and power in the workplace that still resonates today. 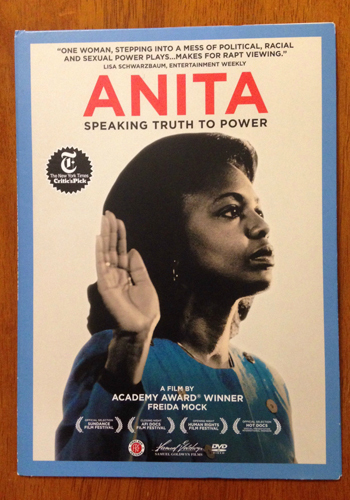 A new documentary film released last March by Academy Award winner Frieda Mock titled Anita: Speaking Truth to Power captures the absurdity of the hearing that took place in an era when sexual harassment in the workplace was not yet a national issue. In conjunction with Hill’s talk on campus, the documentary will be screened in downtown Santa Cruz at the Nickelodeon Theater on February 22 and 23. After the hearings, Hill began speaking to worldwide audiences about how to build on the progress of the women’s and civil rights movements, urging them to expand their concept of equality to include more than just legal rights. She also wrote her autobiography Speaking Truth to Power in 1995. Four years ago, she followed with another book Reimagining Equality: Stories of Gender, Race and Finding Home about the subprime meltdown, examining the deep roots of race and gender inequities that contributed to the devastation of families and communities across the country. But despite the persistence today of entrenched sexual harassment and racial discrimination, Hill—who in 1989 became the first African American to be tenured at the University of Oklahoma, College of Law—still remains hopeful about the future. 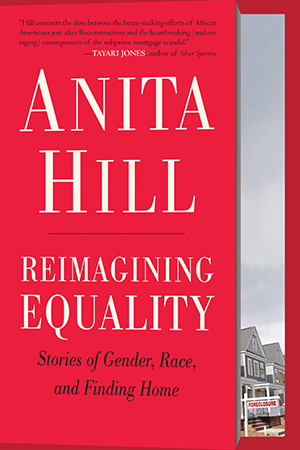 Anita Hill will give a free public lecture on Thursday, Feb. 26, beginning at 6 p.m. at the College 9/10 Multipurpose Room on campus, followed by a book signing. Seating is limited: an overflow simulcast will be available in the Humanities Lecture Hall. The film Anita: Speaking Truth to Power will also be screened on Feb. 22 and 23 at the Nickelodeon Theater in Santa Cruz (www.thenick.com). A campus screening takes place Feb. 24, at 7:30 p.m. in the Humanities Lecture Hall with a panel plus Q&A on campus sexual harassment, gender and race. For information and disability accommodations, contact ihr@ucsc.edu or (831) 459-5655. 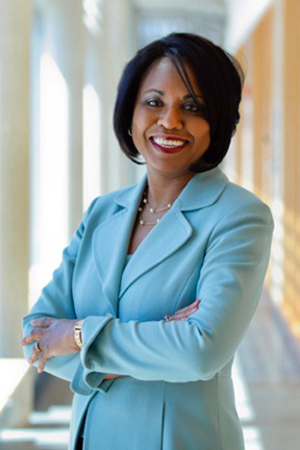 Anita Hill’s visit is presented by the UC Presidential Chair in Feminist Critical Race & Ethnic Studies and co-sponsored by the Office of the Dean of Students, Humanities Division, Social Sciences Division, Arts Division, Institute for Humanities Research, and Bookshop Santa Cruz. Visit http://50years.ucsc.edu for additional events celebrating the 50th anniversary of UC Santa Cruz.